NOTE: This post is not sponsored from any of the companies nor brands featured in this blog post. I just really like yarn and have used quite the variety.. Don’t judge my spending habits… Ha! 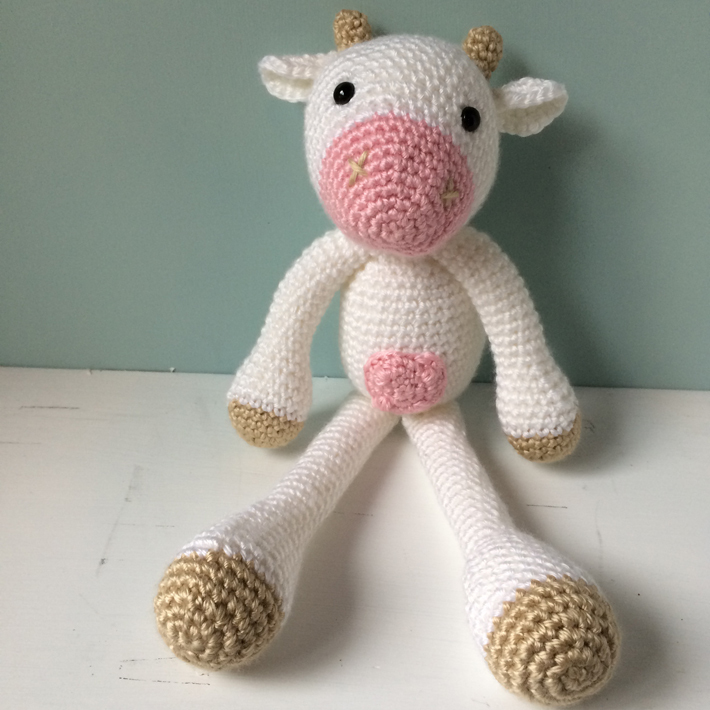 In the beginning of my crochet career, I used acylic-based yarns 99% of the time due to wanting to keep my prices low when selling my finished pieces (if you’re unfamiliar, acrylic yarns tend to be inexpensive compared to natural fibers such as wool or alpaca). Yarn was purchased and viewed as a tool, a tax-write off, in that season of life. Though texture still highly mattered to me during those “retail” years, price was a larger factor and limited me to acrylics. Ok, for all of my yarn-snobs, my next statement will either offend you or make you super excited.. Dun dun dun..
Acrylic is not the devil. There. I said it. Please still be my friend. I know some people really don’t like acrylic yarns, and that’s ok. For many it’s a necessity out of price-point, while for some the use of acrylic yarn is chosen for health reasons. 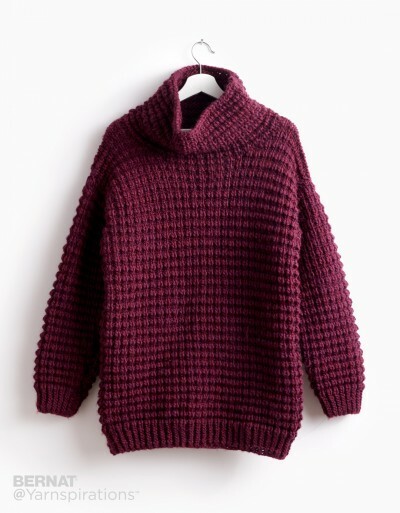 Many people find that they are allergic to wool, or that it is scratchy and itchy. Using acrylic yarns generally remove the opportunity to cause reactions in its wearers which is kind of a big deal when making gifts for others, or selling finished products to customers. Additionally, acrylic yarns are WASHABLE. 2. Gently remove excess water. 4. Wait for piece to dry completely. 5. Remove and store away blocking equipment. …being able to machine wash and dry your pieces feels like a serous luxury. But for those of us with children, or simply just a habit of spilling things (oh, just me?! ), acrylic pieces can usually be tossed in your washing machine for convenience. Now, whether you choose to lay flat to dry or throw in your dryer, that’s completely up to you. I’ve dried some acrylic yarns in my dryer that have turned out BETTER (more relaxed, softer) than when prior to washing/drying, but some acrylic yarns become very “hairy” or “disheveled” after drying. Be sure to machine wash and dry a few swatch samples first before finding out the hard way that you maybe should have laid that item down to dry. I definitely have some acrylic favorites and want to share those with you!! 1. Buttercream Glossy (50% acrylic, 50% nylon): This Jo-Ann Fabric and Craft Stores exclusive is SO amazing. With it’s modest sheen, each shade of the Glossy line fits in with even the most luxe neutral palette. Pairing some of the shades with other colors (can you imagine the Glossy black paired with a rose pink?! Swoon!). Though the Glossy yarns only come in five neutral shades, it’s such a wonderful texture and aesthetic that can easily be paired with another yarn to create texture interest. I once made a large triangle scarf using the Glossy black and a roving-style yarn in teal for fringe. I LOVED the way it turned out! When coupons and sales hit, you can snag these skeins for around $5-6 each! 2. Lion Brand Wool-Ease Thick & Quick (80% acrylic, 20% wool): If you know me at all, you know that I love using bulkier weight yarns. I love how quickly my projects work up and the unique look the larger yarn offers. I used Thick & Quick when making my Juliet Vest recently and really loved the quality look it offered!! For a bulky weight and quality acrylic yarn, I can usually find it around $5.97 at my local Wal-Mart or $7.99 at my local Jo-Ann store. 3. Bernat Roving (80% acrylic, 20% wool): Alright, guys. This choice here is something to note. I’ve used many different roving-style/1-ply yarns and the fact that this is highly comparable to some of the 100% wool ones, is huge. 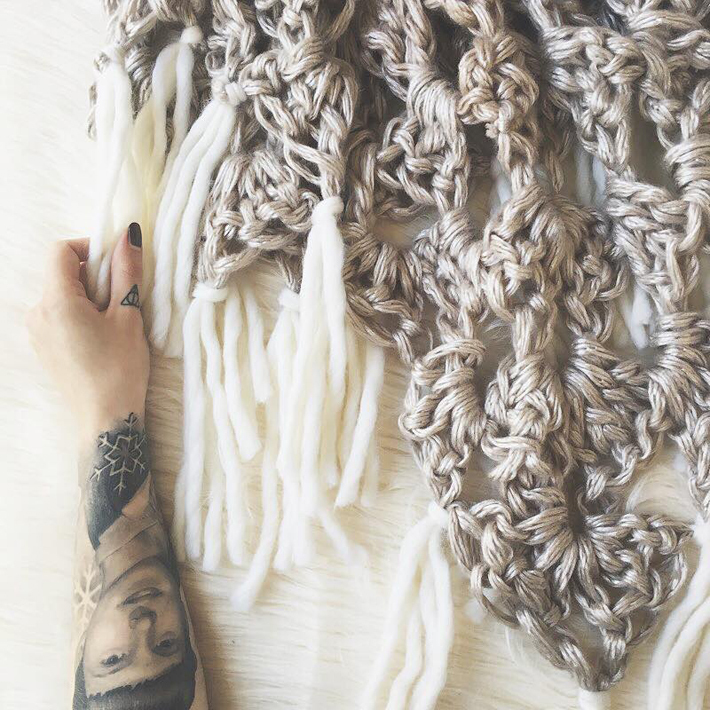 The shape and texture of the yarn is comparable to We Are Knitters petite wool, just slightly bulkier. 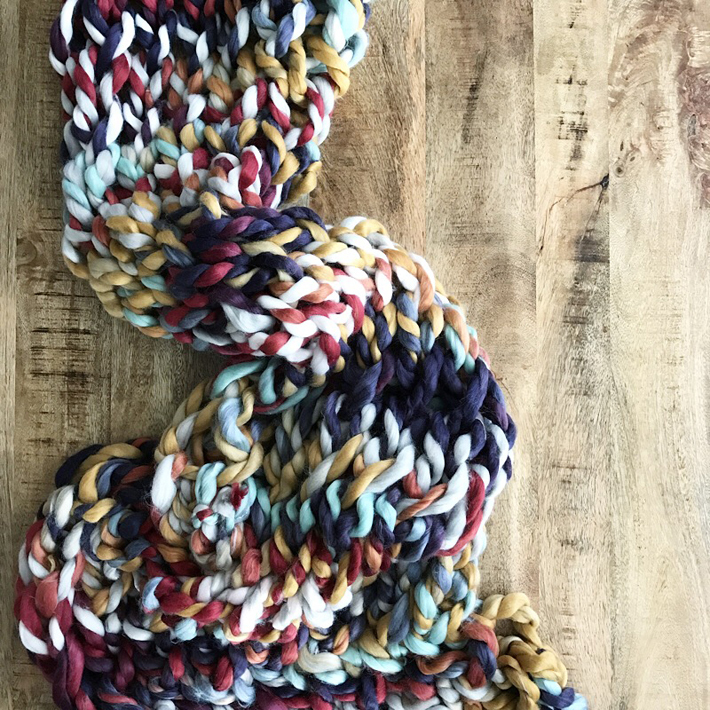 With twenty total different colors (according to the Yarnspirations website), it should be easy to find inspiration in at least one shade for a project! 4. Buttercream Alpaca Solids (80% acrylic, 20% alpaca): In the world of acrylic blends, it’s still pretty easy to “feel” the acrylic portions of the fiber. However, with this particular line of yarn, it’s definitely not easy to tell this is not a natural fiber. Though it may shed easily which can be frustrating, the texture and softness, even drape, are so worth adding to your “Fiber Experience” list. Besides, you can get the natural fiber experience with acrylic price points. You can’t beat that! 5. Lion Brand Heartland (100% acrylic): Now, for worsted weight acrylic yarn, your options seem to be limitless. This is the most commonly made yarn I seem to find with every single commercial yarn brand making sure to have at least six different kinds.. But Heartland is one that really needs extra attention. 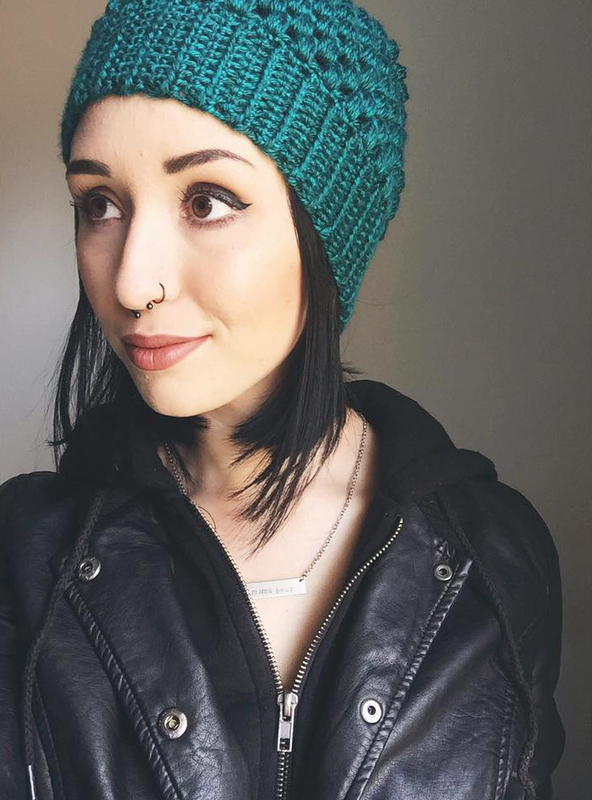 With it’s unique and bold color options (it’s almost like it has little bits of darker colored pieces to add extra interest to the final look if your piece), this flexible and very soft acrylic yarn was one that I used most often when making and selling my Puff Stitch Beanies to customers (get the pattern here). I LOVED Cuyahoga Valley (this is a color option) most. Hands down the BEST teal I’ve ever used. 6. Loops & Threads Chunky (100% acrylic): This super-bulky weight yarn is SO much fun. With different colors ranging from solids to variegated, this yarn is a fantastic way to dip your toes into the XL fibers without breaking the bank. At only $4.99 per 27 yd skein, your creativity will thank you at the same time your wallet will. 7. Caron Simply Soft (100% acrylic): Oh man.. CSS and I go WAY back. This line of yarn was my go-to for the first few years of my crochet career. I loved the sheen, the price point (only $3.27 at my local Wal-Mart!) and the way it works up. The drape and flexibility it offers when worked into a blanket is amazing. It’s not rough or stiff AND washes/dries amazingly well. A serious contender in this list. 8. 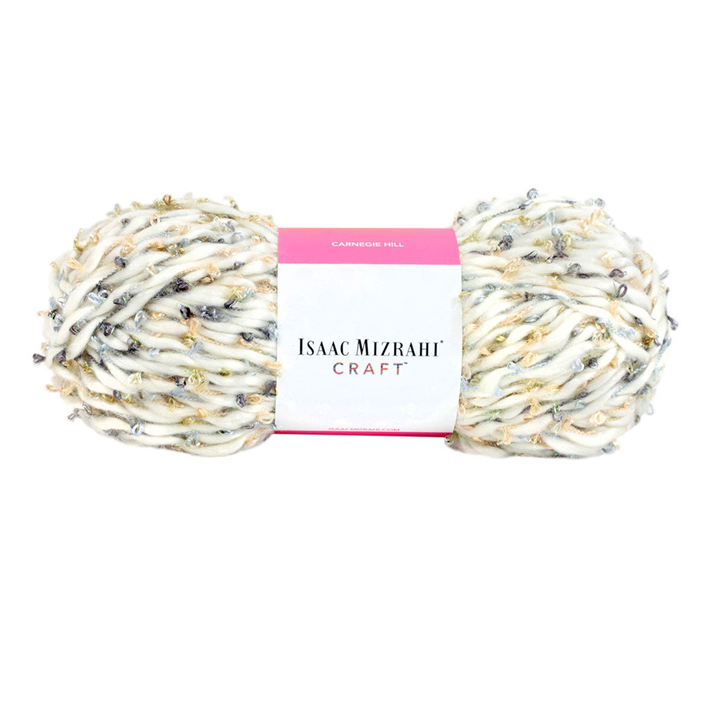 Isaac Mizrahi CRAFT Carnegie Hill (67% acrylic, 31% polyester, 2% metallic): I absolutely love the power of texture. When you combine different materials, it can create such unique designs! 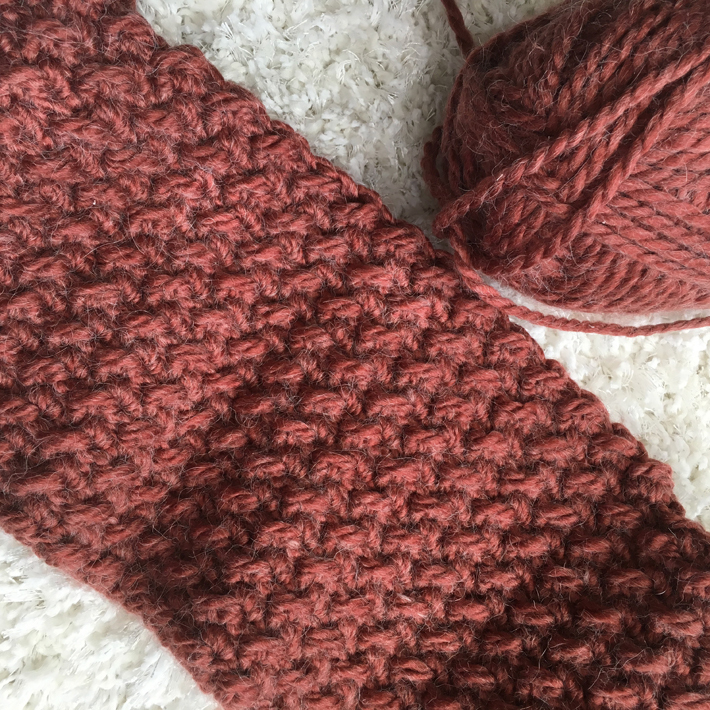 This two-textured yarn is so fun! 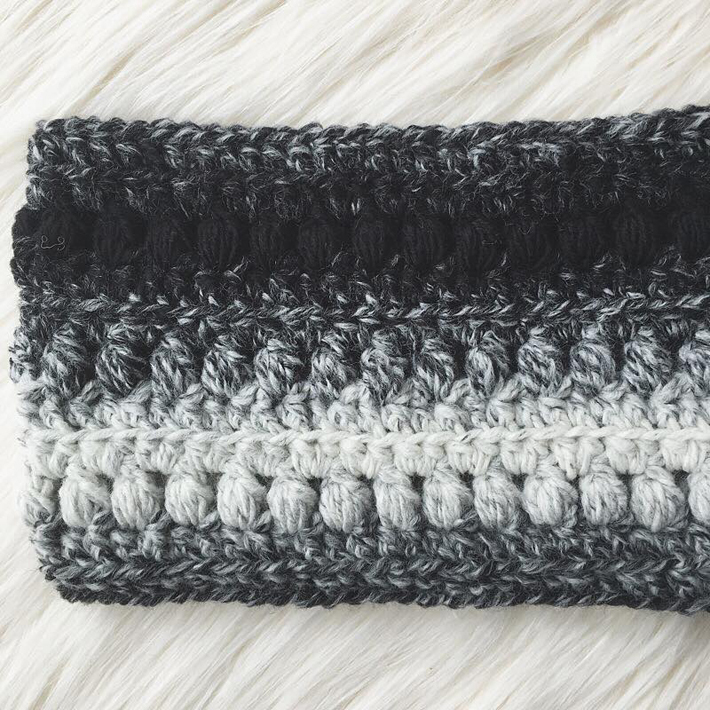 With the addition of the metallic-loop detail throughout the yarn, this would be so fun to create a beanie out of, or even as fringe on a pillow. Boom. 9. Lion Brand Scarfie (78% acrylic, 22% wool): Scarfie is a super amazing variegated yarn that also likes to pretend it’s a solid. When worked up, it can look so different simply depending on your initial chain count, or cast on. I even double-stranded it using both ends of one skein to create a beautiful, self-striped Tulipa cowl (get the pattern here). 10. Patons Cobbles (49% acrylic, 49% wool, 2% polyester): Thick-and-thin yarn can create such fun and unique designs with how unpredictable the yarn can be. Cobbles is pretty awesome in the way that the thick-and-thin aspects ARE predictable. 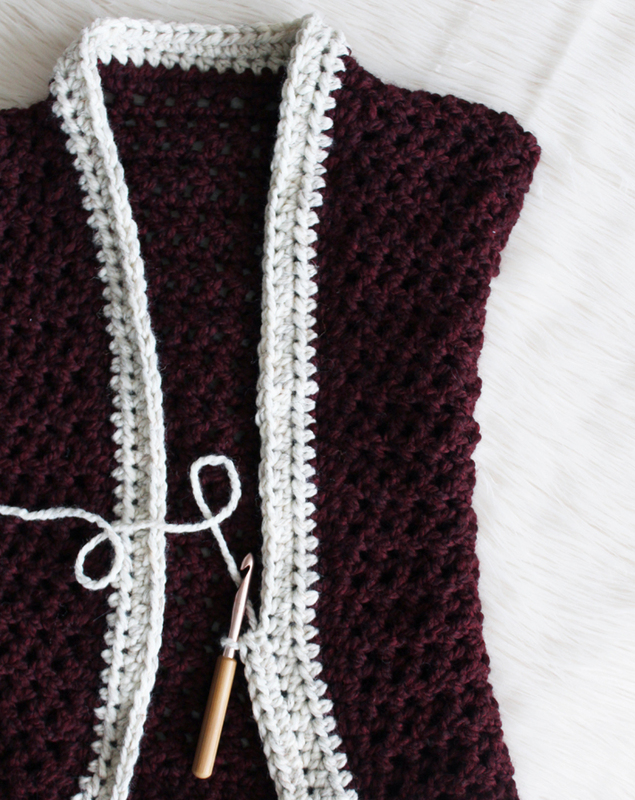 You can make projects with this yarn using the most basic of stitches (single crochet, half double crochet) and still result in a one-of-a-kind design because of the shape of the yarn. 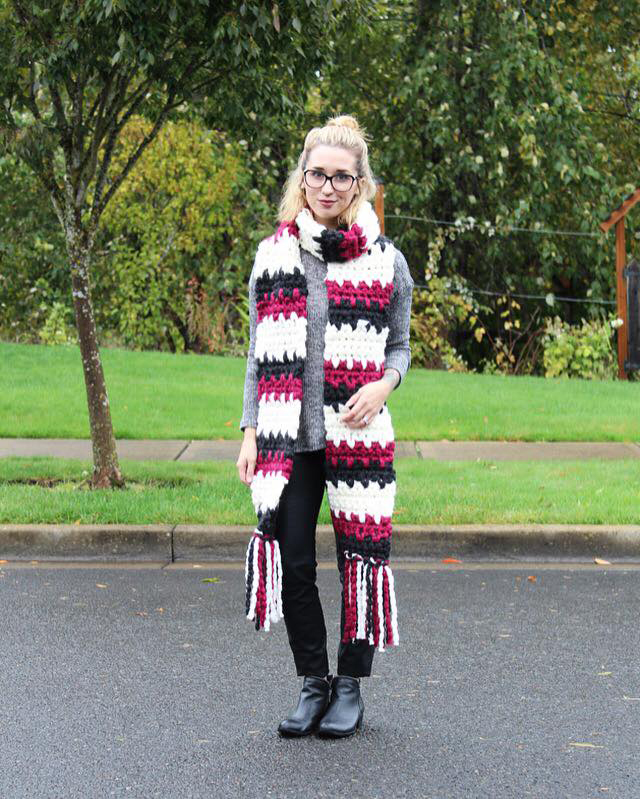 I loved creating my Liliana Super Scarf pattern with it (get the pattern here). Well there you have it - ten of my all-time favorite acrylic yarns that I have used in the last six years of crocheting, including a few throwback photos! 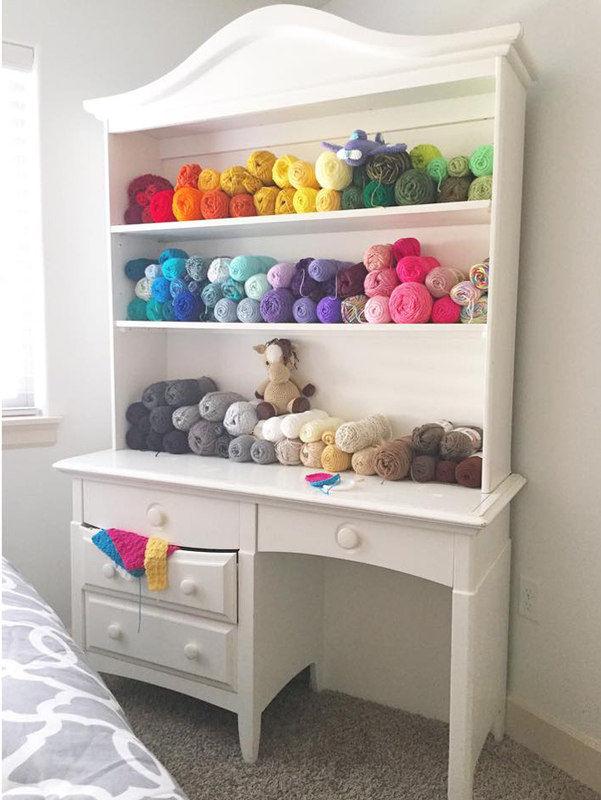 Was your favorite acrylic yarn mentioned in this post? Was it left out? Tell me in the comments below! Which one are you antsy to get your hands on now? I hope this information helps spark some inexpensive inspiration, it sure did for me!